This classic ghost story has been immortalized in film, short stories, and in a famous song and poem. It is known under various names. The Lost Bride, Bride and Go Seek and in England as The Mistletoe Bough or The Mistletoe Bride. This story was first published in 1809 in Germany in an article entitled The Melancholy Occurrence, which tells the tale of a bride who goes missing on her wedding day. Samuel Rogers’ poem entitled Ginevra, published in 1823, also tells the moving story of how a bride disappears on her wedding day only to be found years later. “Full fifty years were past, and all was forgot . . . The mouldering chest was noticed . . . The full text of this poem can be found here. Roger’s poem inspired Thomas Bayly to write the lyrics for a ballad song entitled, The Mistletoe Bough, music composed by Sir Henry Bishop, in the 1830s. Here is a part of this song. And they sought her in vain while a week passed away . . . The entire song lyrics can be read here. 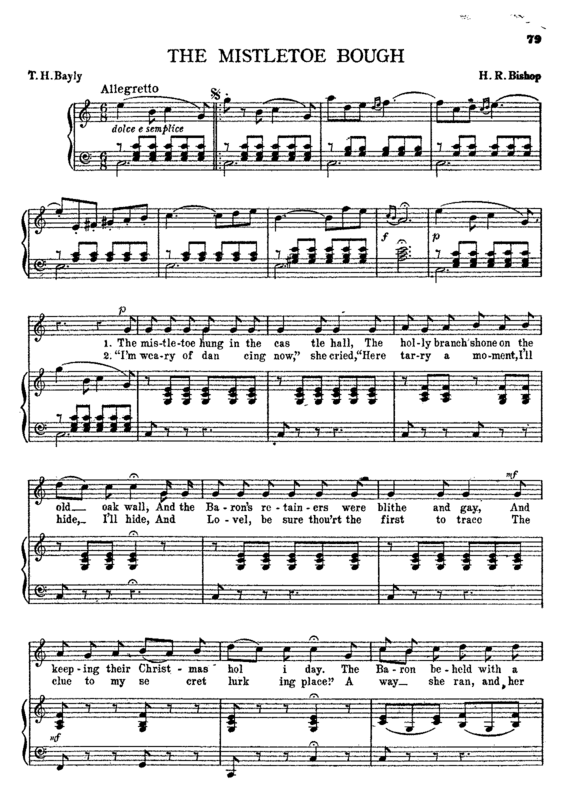 A popular version of this ballad is shared below. 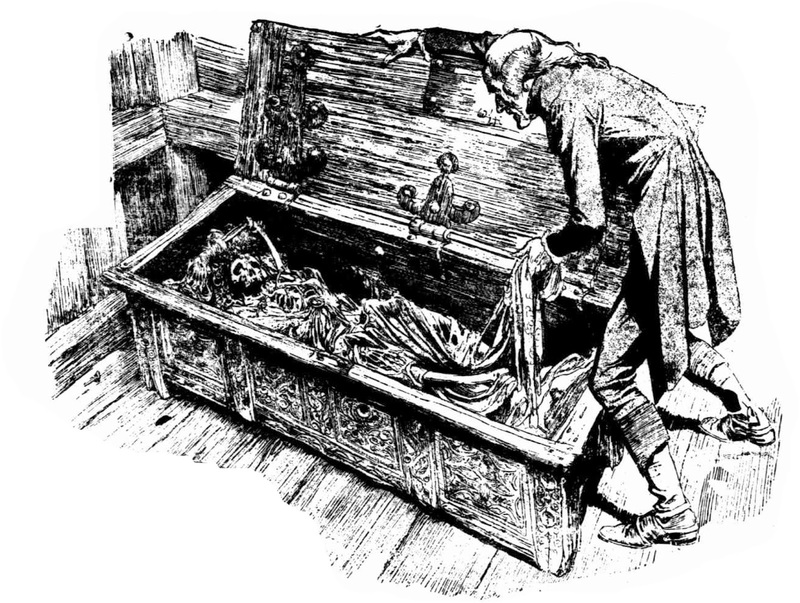 This story was retold in two short stories: The Old Oak Chest by Susan E. Wallace in 1887 and The Romance of Certain Old Clothes by Henry James in 1868. 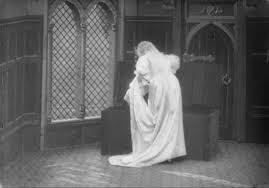 The story was also made into a silent film in 1904 by Percy Stow; this short film has since been restored and is below. Two other movies based upon this story were made in 1923 and 1926. This story has been told for over 2 centuries now. Various versions of this myth have circulated in America. A simplified version was retold in the early 1970s. Alfred Hitchcock produced his own version of this story in 1948 in his film entitled Rope. 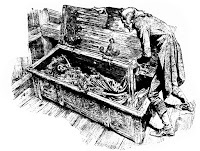 In his film the main character, Brandon Shaw hides the body of a murdered son in a chest. However, most versions of this story are similar so here is the English version -- The Mistletoe Bough. A young bride was married to Lord Lovell at Christmastime. After the ceremony, she suggested they play a game of Hide and Seek, which the younger members of the wedding party could enjoy as well. The young bride was picked as the first person to hide. No one suspected as she went off this would be the last they would see of her. Her husband, father and the wedding guests searched and searched, but she was not found. The wedding guests eventually had to leave, many assured the family as they parted that surely the bride must have just fallen asleep in her hiding place. The groom, father and the servants continued to search late into the night and the next day but their efforts were unrewarded for the young bride was not found. The days turned to weeks and the weeks turned to months then years, but the bride’s disappearance remained a mystery. Lord Lovell grew old, and the story was now legendary. The family home was eventually sold, and several years later the home’s attic was emptied. 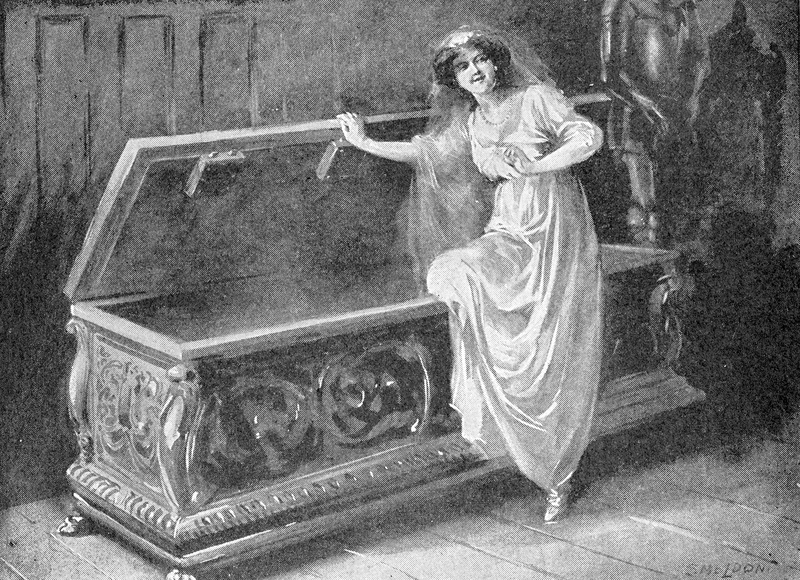 Amongst the old paintings and furniture, there was an old oak chest that appeared to be locked. The lid was pried open and inside was a skeleton dressed in a wedding gown-- it was holding a withered wedding bouquet. At last, the bride was found. 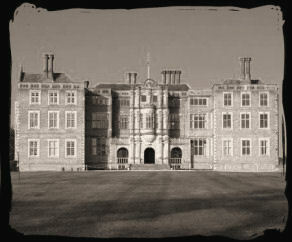 Many stately homes * in England over the years have claimed to be the location for this chest. 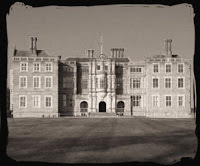 They include: Bramshill House and Marwell House both in Hampshire. Castle Horneck in Cornwall, Basildon Grotto in Berskhire, Minster Lovell Hall in Oxfordshire, Exton Hall in Rutland, Brockdish Hall in Norfolk and Bawdrip Rectory in Somerset. * Some of these homes lay in ruins today. A number of these homes also lay claim to the ghost of the unfortunate bride that is said to haunt their grounds. She is seen wearing her wedding gown. Here is a recording of the song, The Mistletoe Bough. 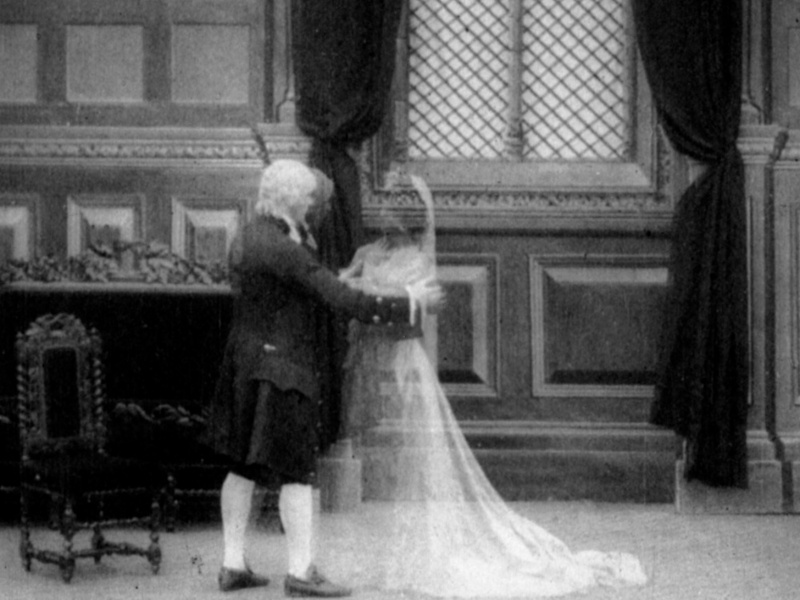 The following is the restored silent version of the 1904 film version of this story. It is short. M.R. James, Montague Rhodes James, wrote several collections of short ghost stories in the early 1900s. He was a medieval scholar and for many years the Provost of King’s College. The ghost stories he wrote he shared with his students at Eton on Christmas Eve, which is a long standing tradition in England. The BBC adapted several of his stories for their annual television Christmas Ghost Story, which was aired in Great Britain from 1971 until 1978 in the month of December. They were shown under the title "A Ghost Story for Christmas." In 2005, BBC Four revived them during the Christmas season. Even today, these episodes are still remembered with fondness in the United Kingdom. Most are not available to buy or rent but YouTube has parts of many of them. My favorite one first aired in 1976 and was the first non-M.R. James one shown in the series. It was adapted from a Charles Dickens’s story entitled, The Signalman. It starred Denholm Elliott. It is about a railroad signalman who tells a curious traveller (I spell it traveler) how he has been troubled by a ghostly spectre (I spell it specter) that seems to predict calamity. This specter is a “harbinger”, which is a favorite theme of mine. I like this story because the horror is subtle—it leaves it up to the viewer’s imagination, which in the long run is much more scary. Below are the YouTube videos in 4 parts that show the episode in its entirety.